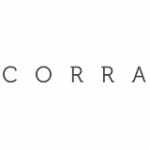 Corra’s thought leadership has gone international! Earlier this week, MultiChannel Merchant published a piece on Amazon’s new Parcel Delivery program–allowing U.K. customers nationwide to pick up their products at one of nearly 5000 local convenience stores rather than wait for postal delivery. Naturally, they contacted our ecommerce experts at Corra for commentary. Check out the article at MultiChannel Merchant to see what we had to say on the subject.